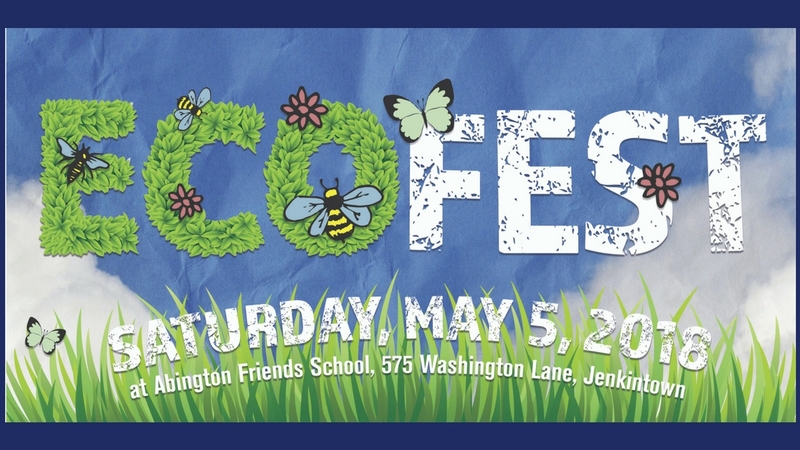 Abington Friends School will host EcoFest and Nature Playdate on May 5, 2018. This event is a unique twist on an outdoor spring family-friendly festival. The event began in 2013 from a conversation between the faculty at AFS and staff members at Briar Bush Nature Center. The two partners wanted to create a community event focusing on children being in the outdoors. 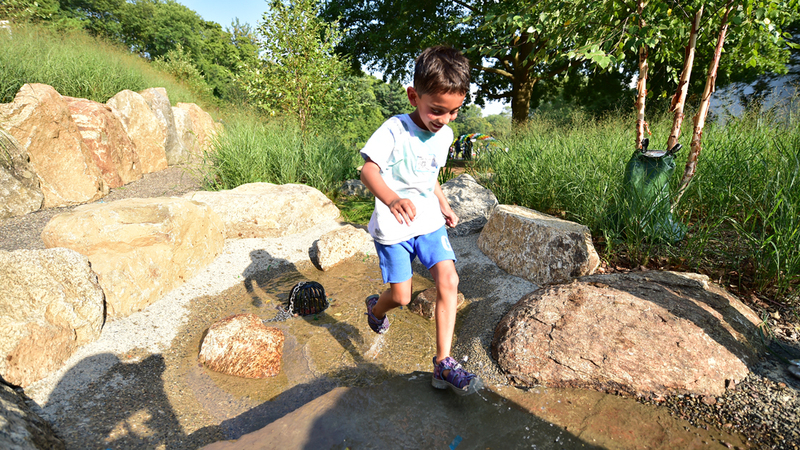 At the time, AFS was already focused on the outdoors and nature play because they were in the process of creating their nature playgrounds and launching AFS Outside. This is is an initiative and a commitment from the school to connect all curriculum to the outdoors. There are several rotating members of the AFS Outside committee who review all possible activities that are important and possible to do outdoors; such as reading, journaling, music, crafts, science and art. These activities are at the center of the fun weekend morning during the spring at AFS. 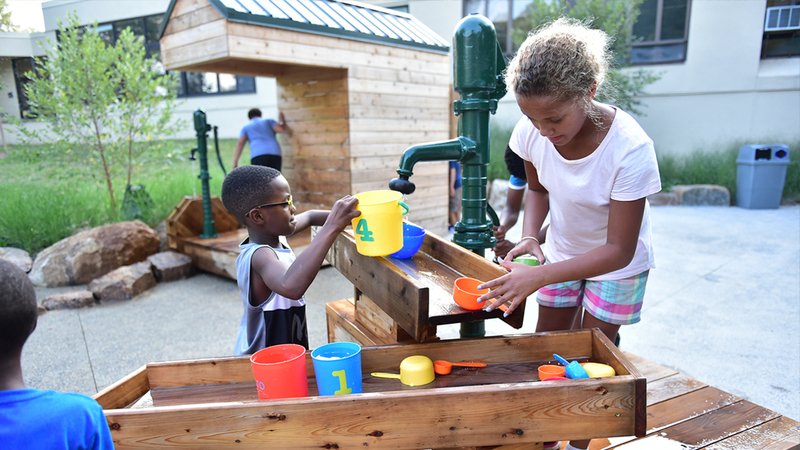 Since 2013, EcoFest and Nature Playdate event has been held annually and attracts families from the school and the Philadelphia region to enjoy a relaxed, educational, free and fun event. In the last few years, the AFS Home & School Association has added a recycling and donation feature to the event, a natural fit for the earth-friendly theme. 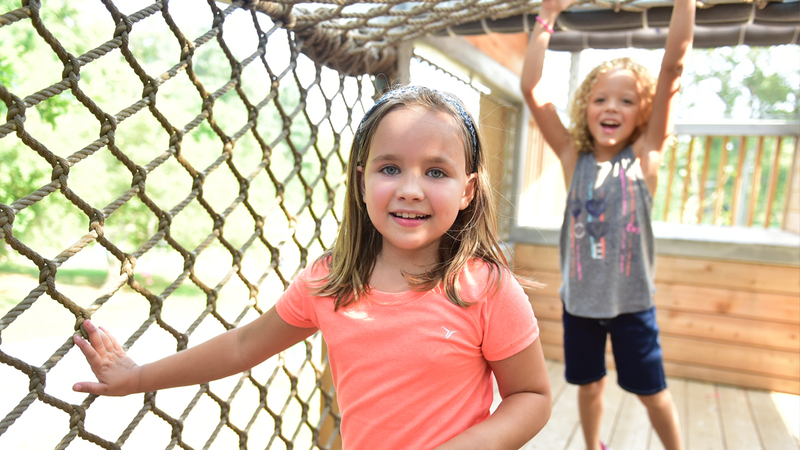 AFS has continued to evolve and lead in the education of connecting students to the outdoors and the Quaker testimony of stewardship as part of the school’s mission. Our students and faculty have partnered with many like-minded organizations over the year such as, Penn State Abington, Tookany/Tacony Frankford Watershed, Abington Environment Advisory Council and Let’s Go Outdoors. The projects that have developed from these partnerships are varied and depend on the student and teacher interest that year. Independent schooling allows for freedom to study what is of interest and relevant at the time. The Upper School has also developed an Environmental Justice club as a result of this mission-driven work, and those students will be at this year’s event. The Quaker testimony of simplicity is also prevalent because the event is fun, yet simple. The activities and the vibe of the event is easy and relaxed. We encourage everyone who is interested to consider attending this fun springtime event celebrating the newness of spring, being outside and caring for the environment. Saturday, May 5, starting at 9 a.m. at Abington Friends School. 575 Washington Lane, Jenkintown PA. 19064. For a full list of activities and items being collected for donation: www.abingtonfriends.net/ecofest.